Josh can play footy. he's fast and fleet-footed and a blur down the sideline. But every time he steps onto the field a stampede of elephant-sized butterflies invades his stomach and he fumbles the ball. Having his footy-mad grandfather screaming from the sidelines doesn't help. To top it off, he blows an easy try so loses his team the opening game of the season. Josh starts thinking about giving up football forever. 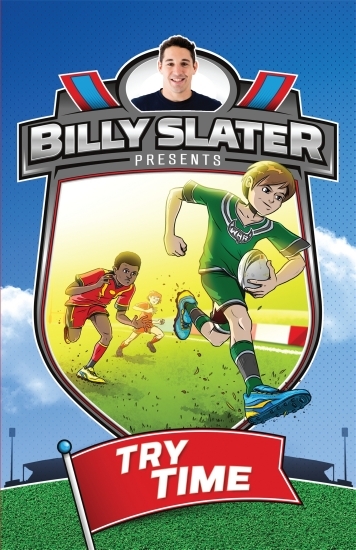 That is, until NRL legend and Josh's hero, Billy Slater, turns up at training one day. Can Billy help Josh overcome his nerves and hang onto the ball long enough to score?